Considering their role to educate and sensitize, carry out monitoring, document violations, inform, denounce and work for the protection of workers’ rights, twenty five staff representatives of the Cameroon Development Corporation (CDC) attended a two day training of Human Rights and Business from July 17-18, 2018 in Limbe. Jointly organized by the CDC and the United Nations Center for Human Rights and Democracy in Central Africa, the training was aimed at sensitizing staff representatives on the rights and obligations of workers. 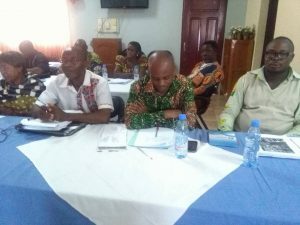 Within the corporate setting, the Communication and Advocacy Associate of the Center, Timothy Franklin Kiven explained that, “Human Rights represent an obligation for businesses to do something in the communities where their profit is coming from”. He talked about the two conventions on which the Universal Declaration of Human Rights is pinned: convention on economic, social and cultural rights (i) and the convention on civil and political rights (ii). He would later lecture on “Understanding the Corporate Responsibility to Protect Human Rights in light of the UN Guiding Principles on Business and Human Rights”. Introducing participants to the “Ruggie framework” that is to Protect, Respect and Remedy, he told them that, “the guiding principles give way to operationalize the Ruggie framework”. He also insisted that “the duty to protect Human Rights is incumbent on the State while the duty to respect is incumbent on the company”. Peeping deep into social responsibility of companies, Wotany Stephen of the Bota Clinic sought to know if Corporate Social Responsibility implies that companies provide free services to the community, including healthcare, “The services are not completely free. They are affordable. The affordability of the service(s) is the responsibility of the company”, explains the Human Rights expert. 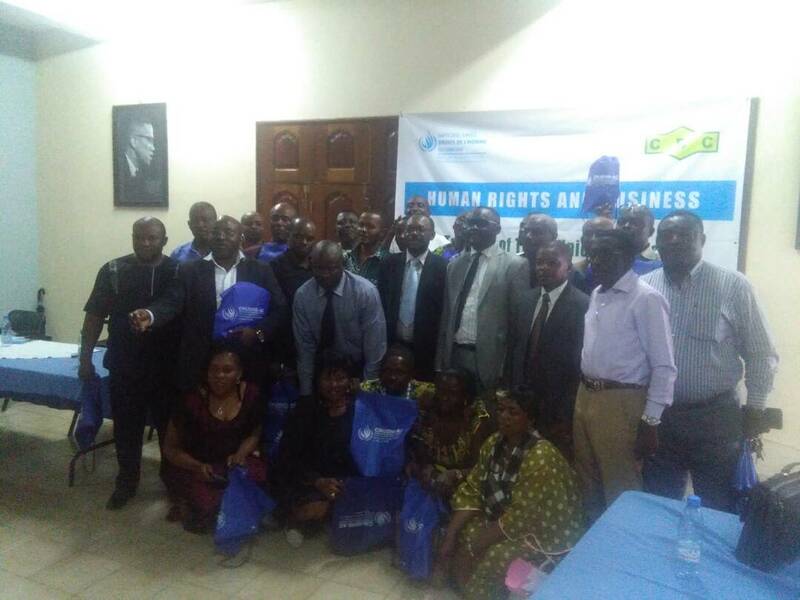 Looking at “The Role of Business in Respecting Human Rights”, the Human Resources Officer of the CDC’s Rubber Group, Obase Nakeli, looked at the difference between labour rights and non labour rights. He insisted on the fact that, “the rights of one person result in a corresponding duty on other persons to respect, protect and facilitate these rights”. Amongst issues discussed on Day Two was the grievance procedure within the CDC. Sitting for Mr. Otto Lyonga, Mr. Obase Nakeli explains that “a grievance stems from a real or ridiculous complaint”. He presented the eight steps of the internal grievance procedure of the CDC.